Dunkirk, the tenth feature from three-time Golden Globe nominee Christopher Nolan, focuses on one of the most dramatic events of the Second World War, when hundreds of thousands of Allied troops were surrounded on the northern French coast of the same name, and in danger of being annihilated by the Nazi army. In what was called Operation Dynamo civilian fishing boats would eventually evacuate them from the beaches of Dunkirk. The filmmaker behind Memento, Inception and the Batman trilogy has transformed this apparent military defeat into one of his biggest cinematic victories. The movie has been received with critical acclaim, which should translate into box office success. For this project Nolan eschewed digital cameras and CGI and the film amply proves that celluloid and practical effects are far from dead. Dunkirk has been described as your biggest movie yet the most immersive, intimate, the one closer to the audience. How did you achieve that? Answer: I wanted to make what I refer to as an “intimate epic”. The IMAX camera I used and its incredible resolution and the analog color is the best analogy to the way the eyes see that has ever been created. So it’s wonderful for wide shots. It’s incredible the amount of detail that offers. But when it comes the time for a close up, it gives you this intimacy, this tactile quality you want. You can feel the wardrobe; you see the sweat, the pores. You are in there with the person. And it’s beautiful, not repulsive, not exaggerated. It’s the way the eye sees it. So it’s a lavish format and it lands well in this idea of human scale. You are also an oddity in the today’s Hollywood. You are at the forefront of the technology but also a big defender of celluloid in a digital world. We are at the beginning of the recognition that the analog world has as tremendous value on high quality as the digital world. Digital stands for consistency and reliability. If you look at it in the food world, digital stands for McDonald’s. Taste is the same every time you have it; taste is the same in the world over. It’s an achievement of logistics and food safety. But if you want fine dining, if you want something different, you don’t go to McDonald’s. That’s the truth. The analog world is value more and more. Inevitably, the pendulum swings. Last week Sony Records started to press vinyl records again. So I don’t think using film is as much of a struggle as it was a few years ago. Even if Dunkirk is the widest release ever on 70MM not that many fans will be able to experience the movie as you envisioned. Is that something that concerns you or you just shot the movies for yourself? We are doing movies for the mass audience. But movies always have worked on what I call a trickle down theory. The distribution of films has always been driven by what it’s called a roadshow presentation. In the past, in each city they have the big lavish theatres: The best projection, the best sound. Like when they did Star Wars. I saw that film the first time in a theater that didn’t have such a great sound. But I loved the film equally and then I saw it again in a cinema with a six tracks sound. That’s always been the way. If you can, you have to put out the best version of the movie. That’s what creates the excitement of the event. And it translates down to the small presentations. Those presentations also matter greatly. I expend a lot of time checking them, checking the DCP, checking the digital versions of the film, the 35 mm reductions. Because you never want to reduce the quality of your movie. Nor deny the quality of the film. That’s what I mean about McDonald’s. We don’t need McDonald’s. We don’t need every presentation of the film to be identical. That’s what I mean about trickle down. You create an event; you give the people the opportunity to see it the best way possible and as many screen as many places around to do that. But we also make sure that our digital version is similar to the original version. And shooting on celluloid film, means the quality of all the versions of the film, right down to someone -God forbid- is watching it on the phone, is enhanced and better than could be. Beyond all the technological achievements presented by Dunkirk, the film has also being described as your most personal. Do you agree? I think they are all personal. You always try to make a personal connection with them. It’s the most British movie I made, that I could say. So in some ways it makes it more personal. It’s a story that I know since I was a child, that I knew my whole life and I suppose that it resonates, that it makes it feel more personal that you are part of the thing. But no, I have to feel intimately and personal with every film that I do. I have been personally acquainted with all the films I made. Would you have liked to do another Batman movie? And what about Blade Runner 2049 as you feel the first one so close to your heart? Certainly not Batman. I expended 10 years working with that great character and I loved it. But after ten years it was enough. I had to hand it off. Batman is a character that thrives in reinterpretation. Blade Runner.... I’m a great fan of Denis (Villeneuve) and I’m very curious to see what he comes up with. But he is treading on sacred ground. But so am I with Dunkirk, in a different way. And I admire bravery. 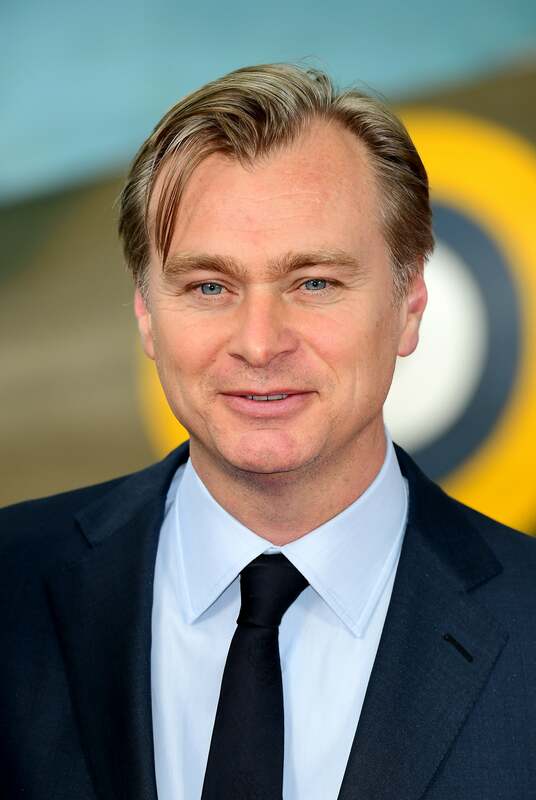 Christopher Nolan triunfa con "Dunkerque"